Create a dashboard tile for any of your Custom Reports. 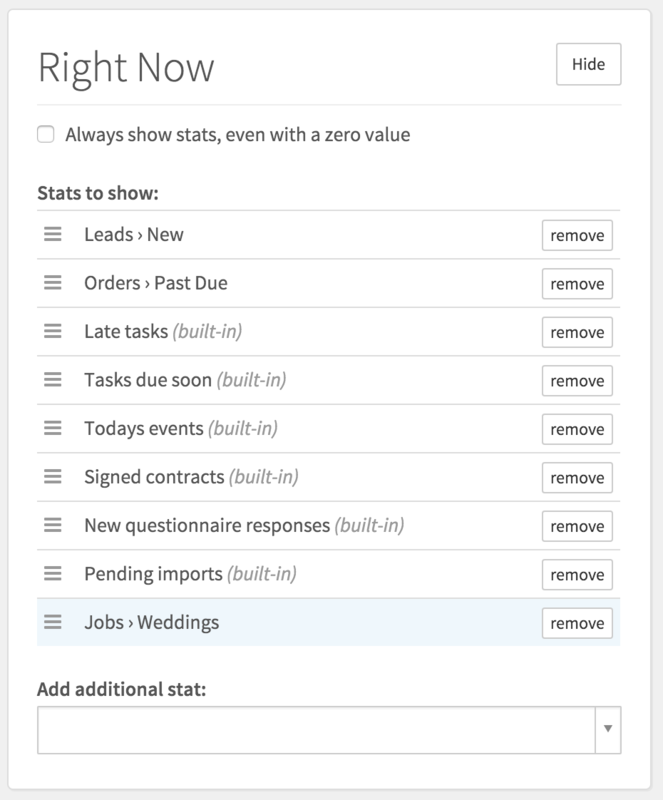 You can add any of your sidebar items to your dashboard allowing you to have quick access to your filtered lists. From the dashboard, click configure. There you can add or remove stats to show on the dashboard. Use the ‘Add additional stat:’ dropdown to search for both built-in stats and your custom sidebar items.